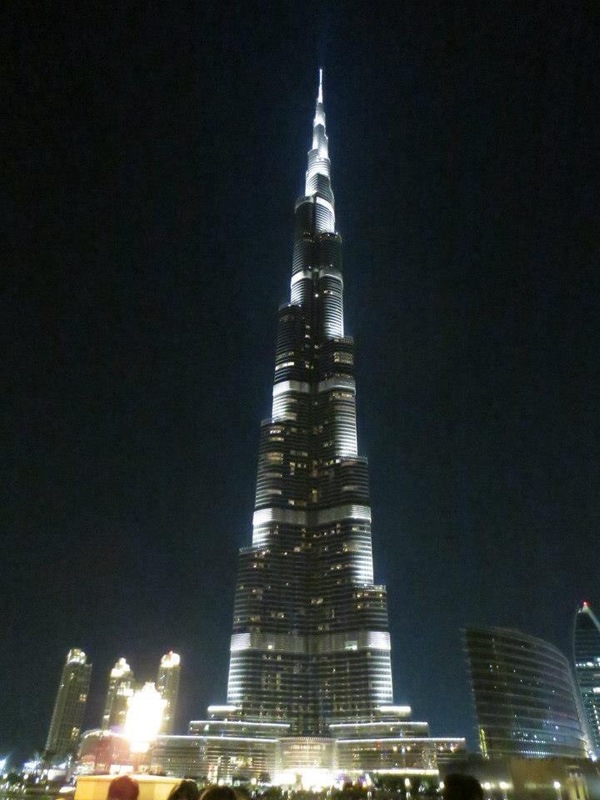 After we finished our tour of the Burj Khalifa, we did a little more shopping in Dubai Mall and then had dinner at Mario Batali’s Eataly. 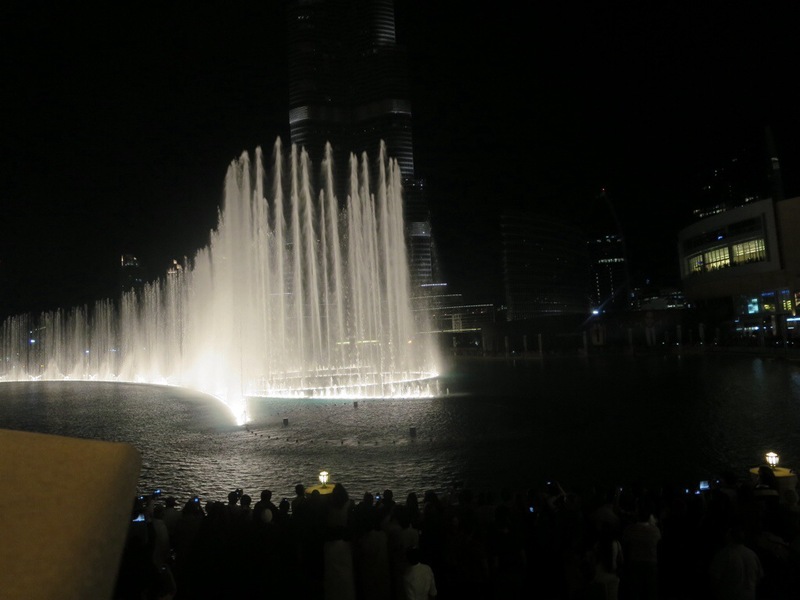 After dinner, we went to see the Dubai Fountain which is located in a man-made lake adjacent to Dubai Mall and the Burj Khalifa. 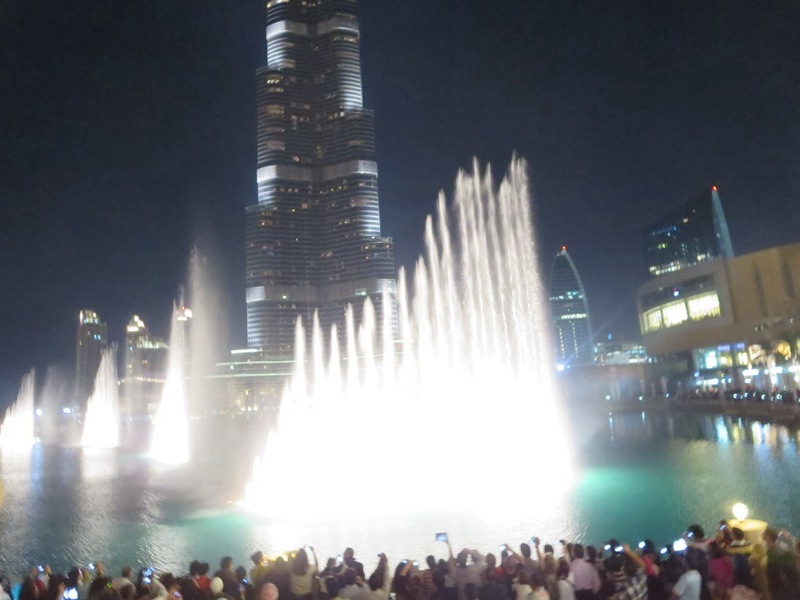 The Dubai Fountain is the world’s largest choreographed fountain. It is similar to the one at the Bellagio in Las Vegas, as it was designed by the same company. 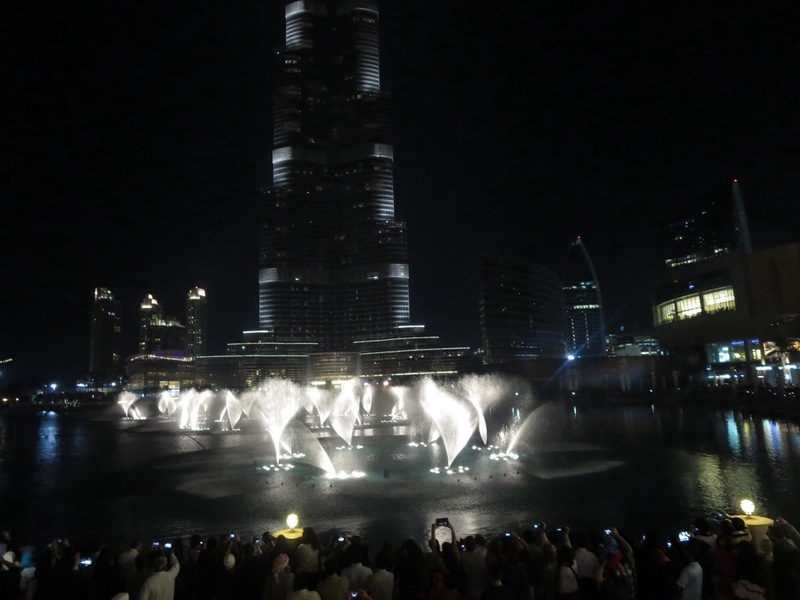 The fountains light up and “dance” to music. I was shocked by the number of people waiting outside for the show to start, especially since it happens every 30 minutes in the evening. It was definitely an impressive show, one worthy of its larger-than-life neighbors.